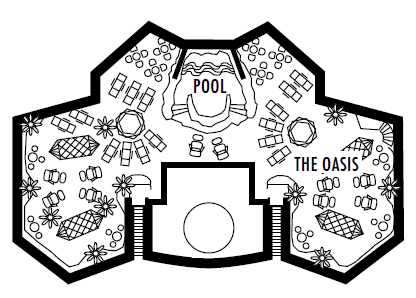 2 lower beds convertible to 1 queen-size bed, whirlpool bath & shower, sitting area, private verandah, mini-bar, refrigerator, floor-to-ceiling windows. Approximately 292 sq. ft.
2 lower beds convertible to 1 queen-size bed, bathtub, shower. Approximately 182 sq. ft.
2 lower beds convertible to 1 queen-size bed, bathtub, shower. 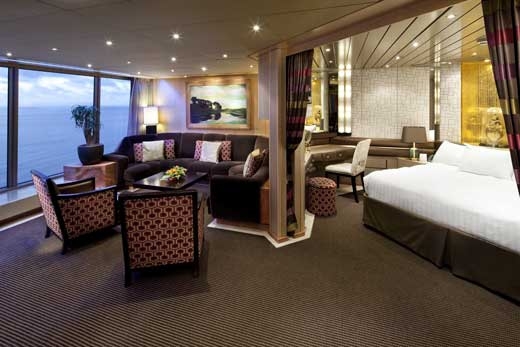 Some staterooms may have partial sea views. Approximately 140–319 sq. ft.
2 lower beds convertible to 1 queen-size bed, bathtub, shower. These staterooms have portholes instead of windows. Approximately 140–319 sq. ft.
2 lower beds convertible to 1 queen-size bed, bathtub, shower. 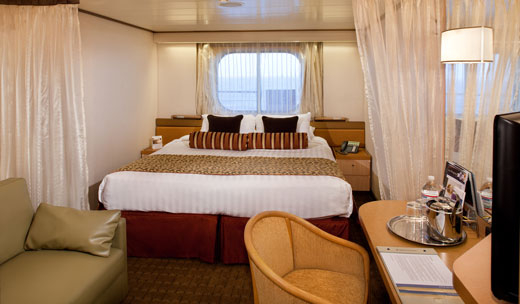 All H-category staterooms have partial sea views. Approximately 140–319 sq. ft.